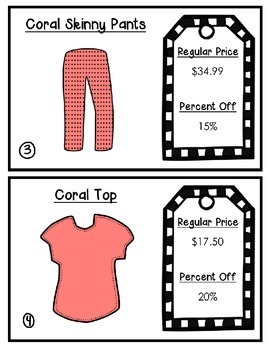 This fun activity takes your students on a shopping trip where they can pick their favorite outfit and then calculate the final price of each item. *There are 30 different pieces of clothing and accessories to choose from. 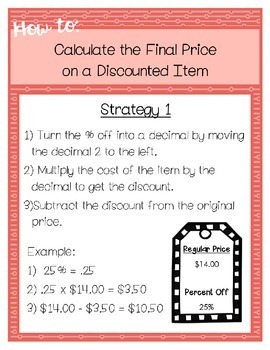 Each item has a price and a discount. *There are two different how- to posters included, so students can have their choice of how to solve. 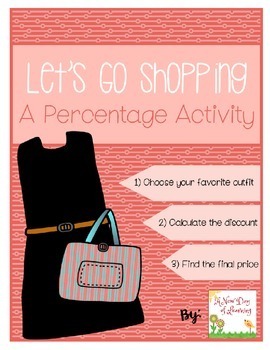 A great way to learn the life long skill of calculating percentage off.